I first encountered Jack Vance's "The Overworld" in the December 1965 Magazine of Fantasy and Science Fiction. The editor's introduction included the words "...For Mr. Vance is a master storyteller..." Yes, indeed. Since all those years ago, Jack Vance has always remained my favourite author. The Finest. Neverwill he be forgotten. Thank you, Jack Vance, for the wonderful books you gave to us. The Blue World en The Dying Earth, to name only two of them: marvelous creations of a great author that impressed me very much. I will raise a glass tonight to Jack Vance who has enriched my life with his humour, elegant prose and thought provoking stories,since I first discovered his books in my local library in the 1970's. "The Face" had perhaps the best ending ever crafted in literature. I read pretty much all the Vance I could get my hands on, including some of the detective work under other names. You can't see me now, Jack, or perhaps you can...that's a glass of Laphroaig I'm raising to you. The earth may be dying, but your work lives on. Condolences to his family and RIP. I raise a glass of "phenolic seepage" in his memory. There will never be another. Thanks Jack. I bought my first Vance book--Tales of the Dying Earth--not knowing what it was. When I opened it I was confused by the setting and didn't pick it up again for years. When I did actually read it, I was blown away. I couldn't read enough and went through all the omnibuses I could find, then hunted down more titles in the used book stores. Jack's characters and societies changed the way I interpreted the world, and his language has changed the way I write. I knew before Vance that I wanted to be a writer, but Jack completely changed the way I wanted to write. Two weeks ago I was feeling lost in life and picked up The Demon Princes again, and blew through Volume I in a few days. It almost feels like destiny that I handed my copy of The Dying Earth to a friend on the 27th, not yet knowing that Jack had passed away. Rest in Peace, Jack. I'll spend the rest of my life reading your books. Bon voyage, Jack. Tes livres continueront toujours à m'accompagner. Reading Vance changed the way I experienced books, sci-fi, fantasy and living. I really regret never to have met him and telling him how much I enjoyed his work. Rest in peace storyteller, you have touched countless lives. I'm really kinda choked up. I have followed Vance's work since coming across a copy of Eight Fantasms and Magics, back in the mid-70s. He's been with me ever since. A toast! (in arack) to Jack! We all have been reading and rereading his books since the day we first read one. And we will never stop. I am so proud and so lucky to have had the chance to work on a book project with my favorite author. He didn't have to let me reprint any of his work, but he did. He was a kind and generous man, with an incredibly unique creative voice. He will be missed. 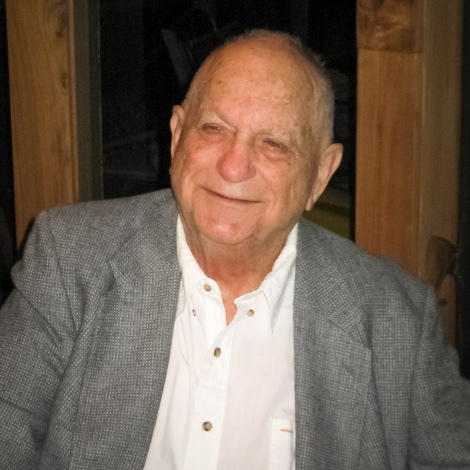 Thank you Jack Vance, for everything. I think that with Jack's passing the last connection with my childhood has been severed. I remember long sunny vacation days sitting in my parents garden devouring Jack's books. Imho Jack was and still is the ultimate science fiction writer. With unparalleled ease he paints both exotic worlds and the interactions of humans with those worlds and each other. Jack is gone but he will be forever close through all his books sitting on my bookshelves. Jack, tonight I will raise my single malt to you for making my life richer, cheers! Jack Vance was one of the masters of 20th century American writing. I first encountered his work when I was twelve, with The Last Castle and The Dragon Masters, bound together as an Ace double, and soon afterwards found The Languages of Pao in the Nashville, TN, public library. After that, in some sense, I never stopped reading his work. His melancholy, irony, humor, wit, fantasy, and sparkling creative imagination, all expressed with a light touch in elegant prose, combined to make him a master. Ursula LeGuin once wrote that Jack Vance was so good a writer that she wondered if he even knew how good he was. He was someone whom others could only admire without hoping to match him. I had the good fortune to meet him briefly, and cherish the memory, because he was a gentleman in the real sense, as well as an artist of great distinction. I have enjoyed Jack Vance's books since the age of 12. His works have enriched my life and now my son's. I had the privilege of working on the VIE, and treasure the fact that in a small way I gave something back to Jack. I am sorry he's gone but he won't be forgotten. He had a wonderful productive life, and gave joy to many many people. The greatest sf writer ever. I read his books from 1975. Many of his novels are translated in Dutch. I read and re-read them often. The Demon Princes, Cugel, Tschai, Durdane etc. May his memory endure forever! On a boring Florida vacation with my parents c. 1961, I picked up "Eyes of the Overworld" at the local drug store. Home, I devoured it in one sitting and rushed back to the store for more. MORE! It's been that way ever since. He was the very best of the best. Thanks Jack. A Big Planet will be a little smaller now; my reading will be less picaresque. Heck, I won't even be able to look at a footnote without missing Jack Vance. His works will endure, but I cannot help but be sad that there will be no more of them. Dear Jack Vance. »The Eyes of the Overworld« has been my first visit to your astounding imagination, which truly knew no bound, your works have been a constant part of my life, they have made my mind connect in beautiful new ways. Your genius will stay in this universe of time and space, I am grateful for that and say: Thank you! This sly, sly writing, and a writer who clearly treasures ingenuity above all other qualities : thank you, Jack Vance, for giving me so much enjoyment over many years. Les premiers livres de Fantasy et SF que j'ai lus étaient de Jack Vance. C'est lui qui m'a donné le goût de cet univers, que je continue à parcourir aujourd'hui. J'ai un grand respect pour cet écrivain qui m'a transportée de monde en monde, aux confins de l'imaginaire. Je le remercie de m'avoir fait et de me faire vivre encore ces explorations. a sci-fi writer of class. I was a fourteen years old french kid. I still remember the first time I read one of Jack's nook, and as in the Beatles' song A Day In The Life, I went into a dream. I'm 66 by now, and I'm still dreaming. Cheers, Jack, wherever you are. Reading 'Planet of Adventure' is still one of the most cherished memories from my teenage years. Jack Vance taught me that imagination has no boundaries. RIP! I would never have imagined that, with the flip of a page from a book in my dad's collection, so many worlds lay in my grasp. I'll continue to visit. Many thanks. So we lose another of the greats... creator of a Dying Earth but who's light will not die ... not as long as the books remain with us in print. Rest in Peace, but if there is an afterlife then hope you live it up... there are many more of the masters there with you than are left here with us. Thank you, Mr. Vance, for the great pleasure I experienced reading your books -- again, and again, and again. I think I've read the Demon Princes 4 times. Thank you also for improving my vocabulary more than anyone else I have ever read. Since reading your books I find myself constructing sentences with increased use of the simicolon; also the colon finds its way into my sentences on a regular basis: undeniably a result of your influence. You live in my every email. My Dad read your books, and I thank him for exposing me to them. I treasured my Dad and I treasure your books. Thank you, Mr. Vance, for being the amazing man you always will be. If I could only take only one author on a desert island, it would be you. Ave atque vale, Jack! Your poetic prose never failed to spark my inner imagination - thank you for many hours of pleasure in your work, and for more to come with future reading. In April 1982 I attended the Tschaicon SF conference in Melbourne, Australia, with my friend Tony White. Tony was (and arguably still is) and even more avid fan of Jack than I was (and am). Tony has made it his life's mission to collect, one by one, every book Jack has written. Jack was the Guest of Honour at the conference, and we all had the opportunity to chat informally to him, and to pick his brain at seminars on SF writing. The conference had a very relaxed atmosphere, unlike a formal medical or business conference, and I recall that at one of the sessions I began a question to Jack by complimenting him on the full rigour of his informality, which of course was a quote from The Last Castle! I've sent a copy of a treasured photo to the website, with Tony (bearded, on Jack's right), and myself on his left. In front of us is an autographed copy of The Last Castle. Jack is wearing his serious, guest-of-honour face, but during the conference he was entirely charming and informative. It really was great to meet him. So much enjoyment, and so many good memories! It has only been very recently that I had the great fortune of discovering the existence and wonderful talents of Jack Vance. I have been reading his brilliant works since shortly before the turn of the new year, and several months back decided to dedicate the year of 2013 to his novels, and his alone. I wrote to him a few weeks ago. I'll never know if he read that letter. One thing I do know.... Jack Vance has change my life, inspired and ignited my imagination, and humbled me as an aspiring writer. While I never met the man, I will miss him very much. Thank you, Mr. Vance, for your many amazing works and countless hours of offered entertainment. Literature has lost one of its greatest. Rest in peace, my friend. So sorry to hear of Mr. Vance's passing. I am one of countless nerds and misfits who was given a beautiful and exciting, if temporary, escape through his work. I look forward to introducing the works of Jack Vance to my children. Without doubt my favourite author. I'm gonna miss him! RIP Jack! Unprecedented joy is the only way I can describe my experience reading Vance's books. Farewell good sir, and my condolences for the entire Vance family. Anche per me la lettura dei romanzi e dei racconti di Jack Vance è stata un'esperienza di incanto e di ingresso in altri mondi e in altre dimensioni. Era capace di creare universi solo attraverso un nome composto da poche sillabe, ma accostate in modo inusuale e misterioso. Descrizioni multisensoriali squadernavano possibilità narrative sempre inattese, sollecitando l'immaginazione fino allo spasimo. Con la sua scomparsa si chiude un ciclo della letteratura americana d'invenzione. Che il suo spirito riposi in pace, in uno dei meravigliosi mondi da lui creati. be doing so. Thanks, Jack for all the worlds that you made. My dad started me on vance before I could read myself. He read me Planet of Adventure, the Dragon Masters, The Dying Earth, and many others that I would eventually track down and reread on my own. I have a shelf on my bookcase dedicated entirely to Vance, and when people ask me how many I reply "This many" and stretch my arms out wide. When I finally got around to writing a novel, I dedicated it to you. I always thought of sending you a copy, as you were mentioned in it, but I never did, because I didn't know where to send it. I'm sorry now that I didn't try harder. You have been and always will be my favorite author. I am honored to have livied in a world you enriched with your voice. Thanks for all the reading-pleasure you gave me en will give me in the future! Your books are made for reading them more than once. I never met Jack, but he was important to me and I am saddened by his loss. I'd like to express my sympathy for his family at this difficult time. He was a great writer, but with none of the pretention that sometimes brings - there was a grand and baroque imagination but a great humanity as well. Here's to you, Jack. Thanks for all these wonderful hours that your works have given myself (in fact they still do and they will for the rest of my life)! I met Jack one time in a bookstore in San Francisco when I was 17. I told him "You're the greatest" and his response was something cryptically encouraging like "No, you are." I think he was referring to the secondhand Navy peacoat I was wearing, and I couldn't tell if he was honestly admiring the coat or (gently) teasing me for the affectation (both, maybe). I met him a second time by chance in the Vancouver airport when I was returning from my post-high school work exchange stint in Europe. We were on the same flight to San Francisco and had a chance to chat a bit. I remember him saying "I had better get back on the ball, if people like my stuff this much." If there is a one-in-a-million chance that I inspired him to write something, I will die a happy man. The storefront scene in 'Emphyrio' brought tears to my eyes, still does. This book is so close to my heart. You were brilliant, you were beautiful, and your works shall surely one day be in the Museum of Glory. Jack played an important part in my life for almost fifty years. Among the many people whom I have known, Jack stands out among all others as a true individualist, an independent spirit who defined himself on his own terms. The memory of times spent with Jack, debating and exchanging stories of our mutual adventures, will remain with me always. Jack was in the true sense of the expression a renaissance man. Above all else, he was an adventurer who lived life to the fullest in both the "real" world and the worlds he created. Among his many endearing traits, I will perhaps most fondly remember his profound sense of irony and his appreciation for the absurd. While I will sorely miss him, Jack's presence will always be with me. In 2009, I wrote a seminar paper about the Lyonesse trilogy, and Jack kindly answered an e-mail I sent to him, providing valuable insight and comments about his work. Thank you for this, and so much more. I absolutely loved Jack Vance's books. His Demon Princes series just blew me away. What a gift to us all that he lived so long to tell so many wonderful tales. He was a great storyteller! After growing up on a steady diet of Jack Vance's tales, being able to finally meet him in person at MagiCon when I became an adult is and will forever be one of my most cherished memories. I recall speaking to Norma and asking if she was happy to see all the attention and will always remember the sadness I saw in her eyes that it had not happened much sooner. Mr. Vance has been with me all but 13 of my 62 years and my life would never have been as rich without his influence. I am deeply saddened by his loss and will miss him greatly. My deepest condolences to his family. The Demon Prince Series 5 or 6 times over the years. Thank you Jack Vance for expanding our love of science fiction and the beauty of words. You took us far away and brought us back again, always with humor and an understanding of human nature. We salute your wit and passion. We mourn your passing! In my youth, in the sixties, I read The Last Castle and it made such an impression on me - I was about 12 or so at the time. My father was an Astounding/Analog reader, and I would read them after he had finished, and Mr Vance featured often in those pages. What a formative impact he had on me here in Australia. The leaves turn russet in autumn and fall from the tree but the tree survives and grows new leaves in the next summer. Your sun will never set. J'aime la musique, le jazz comme le blues, j'aime l'exotisme, l'ethnologie, et les embrouilles picaresques, pour moi Monsieur Vance est plus qu'un romancier, c'est aussi un chantre des plaisirs et des beautés de la vie. Je souhaite que ma génération, celle qui débute comme adultes, s'inspire de sa fabuleuse bienveillance caustique envers le monde. I only read one of Jack Vance's books Suldrun's Garden years ago. But after hearing of Mr. Vance's death, reminded me of this book and that there are two other books making up the Lyonesse Trilogy. So I'm going to buy them via Kindle and re-read Suldrun's Garden and read The Green Pearl and Madouc for the first time. Thank you for Mr Vance for Suldrun's Garden and may you rest in peace. God bless, and will pray for your family. Mr. Vance is my favorite author. Every book and story I have read of his resonated with me and got me through many an arduous period in life. Thank you, Mr. Vance, for the inspiration and the escapes that got me through to this day and beyond. Did not know him personally, just loved his works.